Duties: The Cook Baker is a Civil Service Mariner (CIVMAR) employed by the Navy to serve the Military Sealift Command (MSC) onboard naval auxiliaries and hybrid-manned warships worldwide, in peace and war. MSC exists to support the joint warfighter across the full spectrum of military operations. MSC provides on-time logistics, strategic sealift, as well as specialized missions anywhere in the world, in contested or uncontested environments. FOOD SERVICE EQUIPMENT OPERATION: Carefully inspect all baking equipment prior to use and report to the Chief Cook any necessary repairs and replacements of baking equipment and utensils. Assists in taking inventory of galley equipment and utensils, adhere to all principles of safety and report any accidents immediately. 2. Transportation Workers Identification Card and/or Department of defense (DOD) Common Access Card (CAC) with a minimum of ten (10) months remaining from expiration date. 3. United States Coast Guard (USCG) Merchant Mariner’s Credential (MMC), with a minimum of ten (10) months remaining of expiration date with the following endorsement(s): Ordinary Seaman, Wiper, Stewards Department (FH). 4. USCG Medical Certificate (w/o limitations/restrictions on Food Handling). 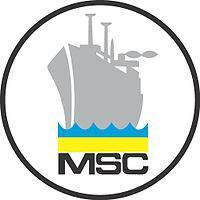 as a CIVMAR permanent MSC Second Cook or Temporary MSC Cook/Baker. The one year of permanent Second Cook or Temporary Cook/Baker must have been within the past five years from closing date of this announcement. The candidate may exceed this five year requirement if continuously employed in a food service capacity. (b) Current Annual 4 Hour Sanitation Course. b. Previous U.S. military experience in Culinary (Pay grade E-5 or above) with at least one Culinary tour of not less than 12 months in a Bakery Production Capacity. Military Service must be within the past five years from closing date of this announcement. The candidate may exceed this five year requirement if continuously employed in a food service capacity. (1) U.S. Military Service Food Production Course. c. Current Certification as a Certified Working Pastry Chef or higher from the American Culinary Federation (ACF). d. (*) Commercial baking experience of at least one year (documented) and current annual 4 hour sanitation training. e. A graduate of an accredited culinary academy/school and has completed Serv-Safe sanitation principles. (*) Documented Experience must be on official letter head, form, or evaluation from current or previous employer that describes experience related to these duties. Document must include company name, applicant’s name, and name with signature of company/agency official. 1. Skill in preparation of bakery products utilizing approved recipes, guidelines and instructions. 2. Knowledge and ability to safely and proficiently operate all equipment located in the Galley and food service areas. 3. Knowledge of food service sanitation and safety in the prevention of food borne illness as associated with bakery operations. 4. Ability to requisition items for the daily preparation of bakery products.